What a gorgeous pair of socks these are. 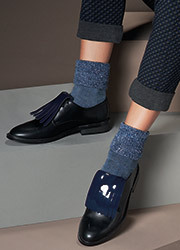 They look fantastic with trendy brogues as worn in the image and skimmer trousers but they also look lovely with pumps and shorts. 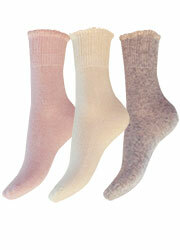 Be at the forefront of fashion with these amazing lurex cuffed wool socks.